If you’ve seen the posters for this play, you’ll know that while it might not quite have a cast of thousands, it does boast a rather large and impressive ensemble, the size of which you would usually only see in a West End Musical. 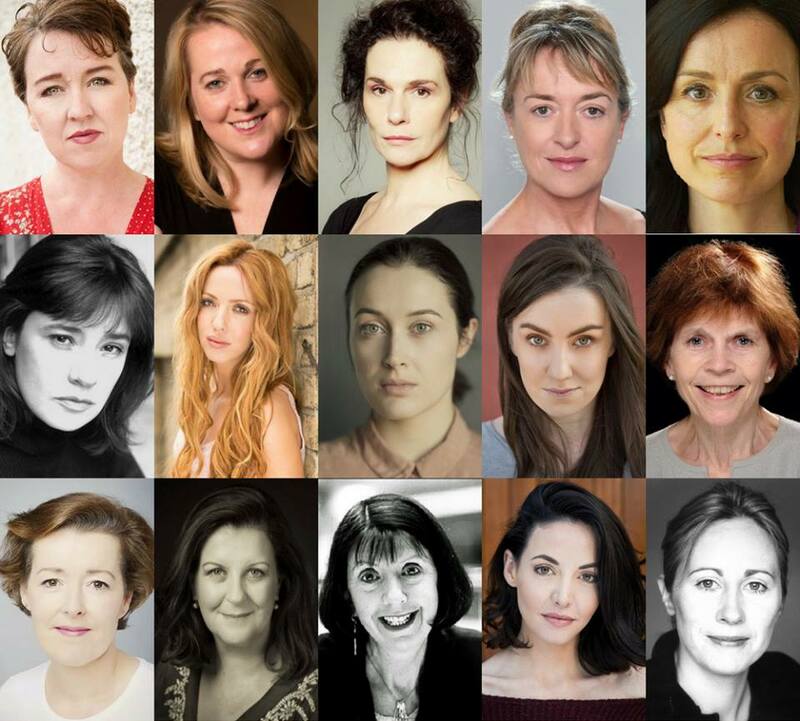 There are no less than 15 – count ‘em 15 – of Ireland’s finest female thesps on the stage (and a special guest appearance by the voice of the lovely Owen Roe). In an era where everyone is now hyper-sensitive about female representation in the arts, no one can complain that this play isn’t meeting its quota of women cast-members! Based on acclaimed French Canadian playwright, Michel Tremblay’s acclaimed work, Les Belles-Soeurs, the action is transported by Deirdre Kinahan to Ballymun in 1974, where Rose O’Brien has just won one million Green Shield stamps, and has decided to have a party so her friends and family can help her stick them into booklets. But with pretty much everyone jealous of her win, a rogue sister looming large, and a tempestuous daughter who rebels against everything she says, this could turn out to be one of the longest evenings of her life. This is like watching a soap-opera. Fair City on speed springs to mind. It has a manic energy, but all the soapy elements you would expect in an episode of any serial drama – even a cliffhanger ending before the interval. The script is peppered with one-liners, which are marvellously brought to life by the cast, and each character gets their moment in the spotlight. This is no mean feat, given the number of people on stage at any one time. Indeed any female actors looking for audition monologues could do worse than check out this script, as it caters to all stages of women’s lives. The set is straight out of On The Buses, or some similar 70s’ comedy or kitchen-sink drama. The whole play is set in Rose’s tiny flat in the Ballymun Towers, and the attention to detail is astonishing, down to the peeling paint in the corners of the ceiling. Musically, it lets itself down somewhat. Don’t get me wrong, the songs are fantastic, but some of them were released after the date the play is set in, and it is details like that that can confuse an audience. They are wonderfully high-energy and used well, but having them accurate to the era would have made such a difference. One other thing that lets this down somewhat is that it has one or two scenes where its politics are really in your face. It is absolutely fine to use theatre as a political forum, but these scenes seem rather forced, and do detract somewhat from the play. As I left the preview I attended, I heard a few people comment that there were references in the play that they hadn’t heard in years, and indeed for people of a certain age this is a total nostalgia fest. On the other end of the spectrum, for the incredibly PC brigade, it does mean that there are one or two references that are appropriate to the setting, but would be deemed unthinkable by today’s standards – you have been warned. That aside, this is very entertaining, incredibly witty, and wonderfully staged. Its occasional in-your-face political assertions aside, this will leave you with a smile on your face. Monday – Saturday 7.30pm, Matinees Saturday 2pm, Wednesday Matinees 28 March & 4 April, 2pm.